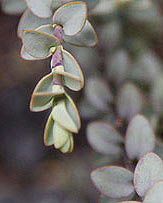 A large group of plants native to Australia, Grevillea species range remarkably with grevillea flowers coming in a range of forms and colors. Very attractive to birds and bees these wonderful flowering plants grow well in warmer areas of the UK. Some varieties are hardier in the UK than others and Grevillea 'Canberra Gem' which is a G. juniperina x G. rosmarinifolia hybrid. 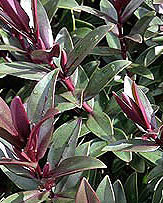 Fairly upright and reaching around 2.5m over time, it carries masses of pinkish red flowers over a long period. 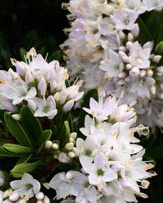 It is frost resistant, can be used as a hedge or screen, or as a flowering feature plant in a sunny position in the border. 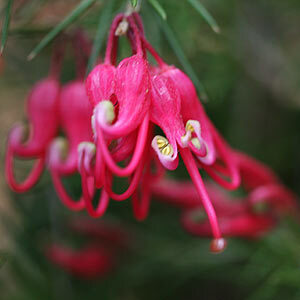 Grevillea plants are relatively easy to grow given a sunny well drained position. It is essential that good drainage is provided, try raising the garden bed or planting on mounds. Also remember that these plants like a low phosphate fertilizer. 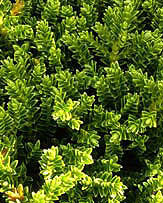 Grevillea juniperina,	Grevillea lanigera,	Grevillea 'canberra gem' and Grevillea rosmarinifolia are popular species in the UK. Includes: Grevillea. Other Plants include¬? : clivia, banksia, leucadendron, proteas, and leucospermum.